Generate revenue and capitalise on video with our platform. Explore different business models from Ad-Funded to Subscription. All the necessary tools are in place for you to quickly deploy into the market. 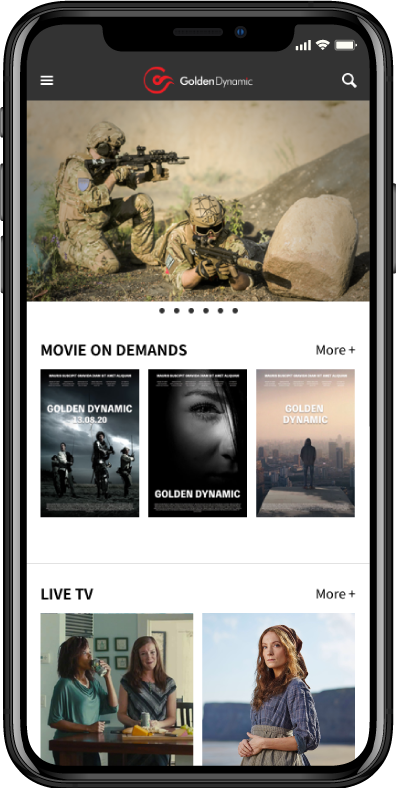 White label, scalable with rich features for you to launch your own branded video application. Available on current popular operating systems and can adapt to the available in-market technology infrastructure. The solution ensures smooth and optimal experience no matter where the service is deployed. Complement broadcasting content by extending the reach outside of traditional big screen (television). Meet the habits and demands of current technology savvy consumers. A feature that allows the content owner to reach a larger audience through handheld devices. We built our solution in mind to provide all necessary tools to operate the business. A Content Management System for publication and in app updates. An Advertisement Serving Platform to take control of the service’s ad inventory. We also have a Reporting System to monitor the service and calculate licensing royalties.